Loviisa is a municipality and town of inhabitants on the southern coast of Finland. Satisfy your inner culture vulture at Cathedral of Porvoo and Loviisan kirkko. Get out of town with these interesting Loviisa side-trips: Porvoo (Porvoo Doll and Toy Museum, Porvoo Old Town, & more). The adventure continues: stop by Riimikko, get some fabulous bargains at Brunberg Candy Factory Shop, take in the pleasant sights at The Devil's Stairs, and take in the spiritual surroundings of Orthodox Church Porvoo. To see ratings, where to stay, reviews, and tourist information, read our Loviisa trip itinerary maker website . Sydney, Australia to Loviisa is an approximately 27-hour flight. The time zone difference when traveling from Sydney to Loviisa is minus 8 hours. June in Loviisa sees daily highs of 22°C and lows of 11°C at night. Finish your sightseeing early on the 4th (Tue) to allow enough time to travel to Helsinki. 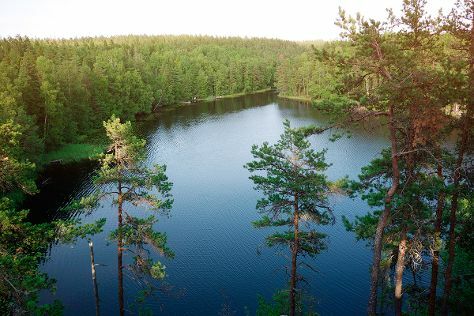 Take a break from the city and head to Nuuksio National Park and Korkeasaari Zoo. Get some cultural insight at Sea Fortress Suomenlinna and Helsinki Cathedral. Change things up with these side-trips from Helsinki: Tuusula (Tuusulanjarvi (Lake Tuusula), Halosenniemi Museum, & more), Espoo (Arctic Expedition & Kaitalampi) and Sipoonkorven Kansallispuisto (in Vantaa). Pack the 16th (Sun) with family-friendly diversions at Linnanmaki Amusement Park. 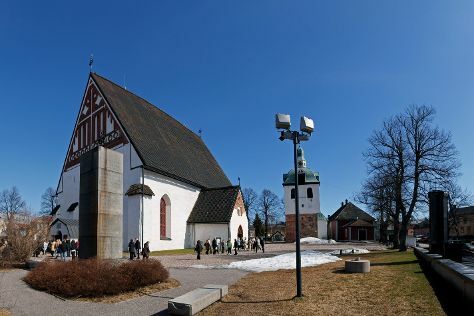 The adventure continues: pause for some serene contemplation at Rock Church, get to know the fascinating history of The Esplanadi Park, get outside with Haagan Alppiruusupuisto, and get interesting insight from Tours. You can drive from Loviisa to Helsinki in 1.5 hours. In June in Helsinki, expect temperatures between 21°C during the day and 11°C at night. Wrap up your sightseeing on the 28th (Fri) to allow time to travel back home.